During the summer of 2014 I designed digital content for Sidney Eve. Matrix's mobile application ClassCaddy. 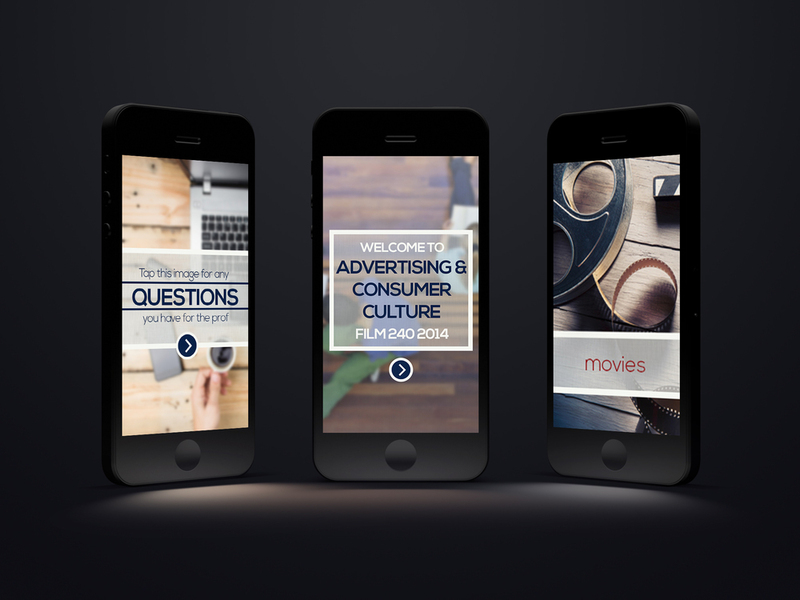 This app works in conjunction with her Film 240 & Film 340 (Media and Popular Culture + Advertising and consumer culture) courses and brings an optimal mobile learning experience for her students. Shown are a few examples of the work completed for this project. Sidney Eve. Matrix is a Queen's National Scholar and a Professor of Media and Film who teaches media, culture, creativity, digital communications, and commerce at Queen's University. She also served on a plethora of advisory boards and reviewer for academic journals. Over the course of this contract, I learned a great deal from working with Matrix and developing creative assets for her various courses.